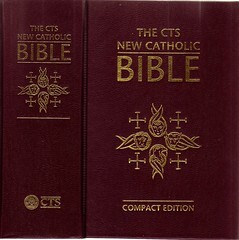 Contents: Catholic Bible (Old Testament excl. Psalms and New Testament Translation taken from : »The Jerusalem Bible«, © 1966, 1967, 1968 by Darton, Longman & Todd (with alterations); The Psalms from »The Grail« Translation, © 1963 by »The Grail« (England) from HarperCollins. Comments: Hardbound 12° (for the “Compact Ed“. ); X and 2252 pp. The Scripture text is, except for the Psalms, basically from The Jerusalem Bible of 1968. 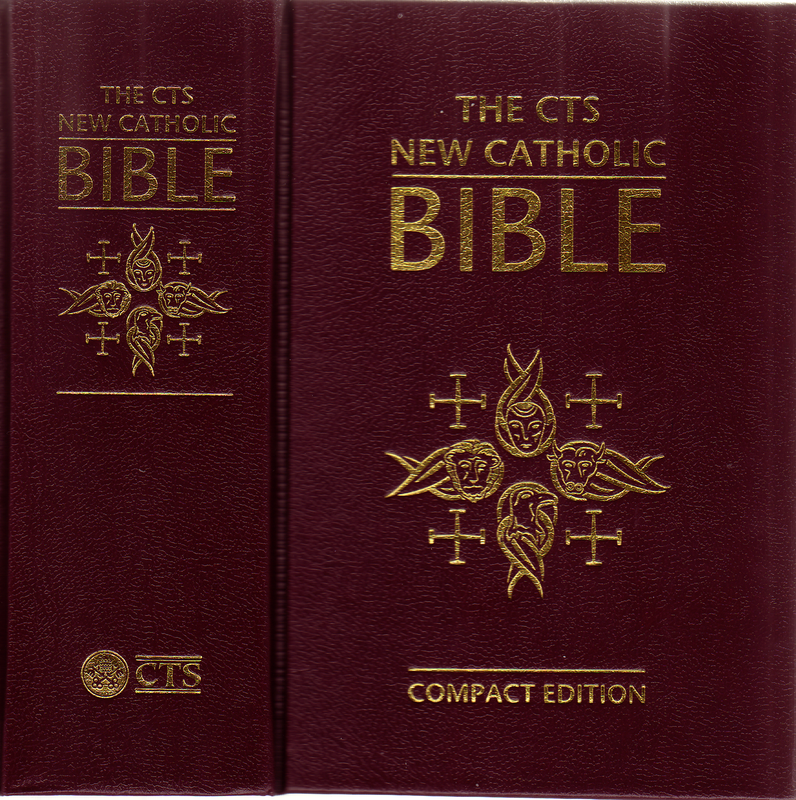 This CTS Bible differs from the (old) Jerusalem Bible in the following ways: Specially commissioned introductions, one for each book, giving the biblical and historical context, New specially commissioned liturgical introductions, Footnotes following the latest scholarship, New marginal references, New layout using clear and modern fonts in single-column format, Text alterations, replacing the word ‘Yahweh’ with ‘the LORD’ (as requested by the papal hierarchy for all new Bibles) and New directories of references for readings used in the Roman Catholic Liturgy. The Psalms of the »Jerusalem Bible« have been replaced, they are adopted from The Grail Psalter«, 1st Edition, 1963. 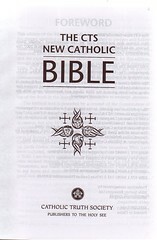 Chapter headings which were not translated for the original Psalm- book are added here by the editors. - Four color maps are from »The New Jerusalem Bible«. The Foreword was written by Henry Wansbrough, Ampleforth Abbey, Holy Trinity Institute, Tafara, Zimbabwe. The original dates of the “Imprimatur“, declared in 1966 (JB) and 1962 (Grail Pss), have been retained. 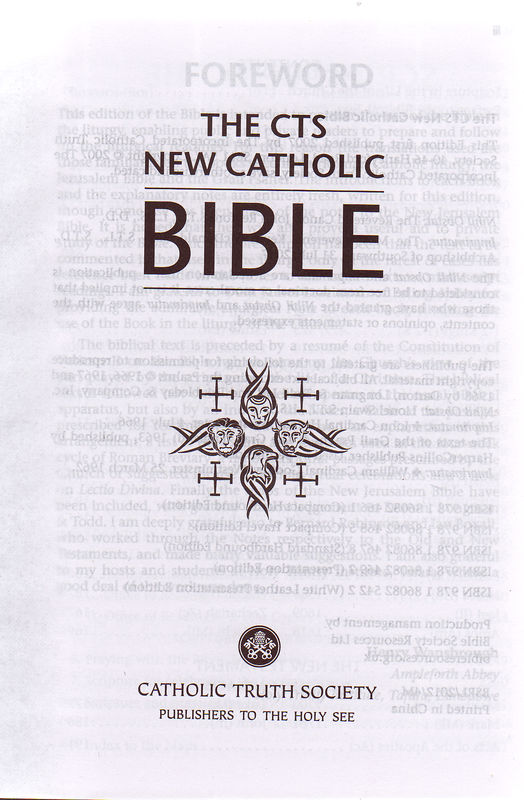 Interestingly, this Bible has been published for the English speaking countries outside the U.S.A.